and people with several years of experience in the pharmaceutical and nutraceutical industry. The Company’s mission is to translate the know-how carried out from the scientific results into new food supplements characterized by high degree of innovation. 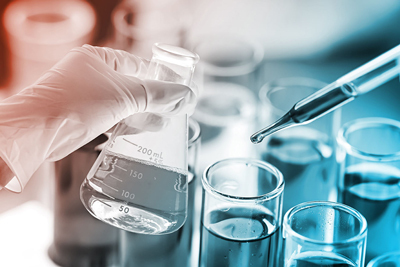 The ten-year research carried out in the area of metabolic problems, especially those related to the glycemic and lipid control, allowed the identification of a natural compound, abscisic acid (ABA), which is able to prevent or improve such problems. ABA has become the innovative ”ingredient” characterizing the first nutraceutical products of the Company, ABAMET, and Nutravis’s objective the further discovery of new substances coming from the natural world to be used in future products because the Company’s mission is to distinguish itself from other companies by making of continuous scientific research and innovation the distinctive points of strength that characterizes it. Research and innovation are the main words of Nutravis. The ambitious Company’s project is to become an international leader in the invention and production of food supplements acting on glucose and lipid metabolism thus preventing, or helping to improve, diseases deriving from their alterations (e.g. diabetes, cardiovascular diseases, metabolic syndrome). Dr. Mirko Magnone graduated in Chemistry and Pharmaceutical technology at the University of Genova where after achieved also the title of Doctor of Philosophy (PhD) in Biochemistry . He worked for 13 years as medical researcher at the Department of Experimental Medicine of University of Genova and currently he is Professor of Biochemistry in the degree course of Biotechnology, Faculty of Medicine, at the same University. He is author of several scientific publications on peer-reviewed prestigious international journals and co-author of several international patents. He received several awards over the years for its scientific research and scholarships for attendance at international conferences. 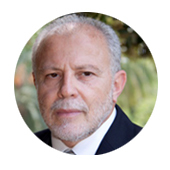 He is member from 2006 of the Italian Society of Biochemistry and Molecular Biology and from 2016 member of European Association for the Study of Diabetes (EASD). 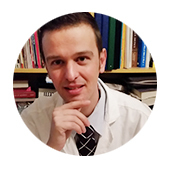 Dr. Pasquale Pantisano graduated both in Biology and in Pharmacy at the University of Genoa and at the University of Urbino, respectively. He worked in the pharmaceutical industry for about 42 years holding positions of increasing responsibility such as: Quality Control Manager, Quality Assurance Manager ; moreover he had been Technical Director/Qualified Person for 26 years at Biochemical National Institute Savio (a Company involved in manufacturing of injectables and other pharmaceutical forms). The most prevalent achievements and activities in Savio were: the development of new products and Medical Devices with their documentations; development of formulation for pharmaceuticals, nutraceutical and their manufacturing scale-up; definition of production standards, control of operating costs and productive investment; management of projects for the construction of manufacturing facilities and its production lines; technology transfer of production from other production sites. He was Chairman of Board of Directors in Media Azienda Farmaceutica Italiana and is now a member of the Board of Directors of two other companies. He has partnered with Investment Fund and the pharmaceutical companies, as a technical consultant for the acquisition of pharmaceutical companies. He participated in group studies under the control of Italian Ministry of Health for the resolution of technical and pharmaceutical issues. From 2010 he is Regional delegate for AFI in Liguria. He is author of two scientific publications and of two patents.